Teachers from schools across the world believe that there is more to education than success in examinations. Many practitioners are becoming increasingly familiar with expansive education concepts, such as learning dispositions, habits of mind and expandable intelligence, and are striving to instil these valuable mindsets into their pupils. 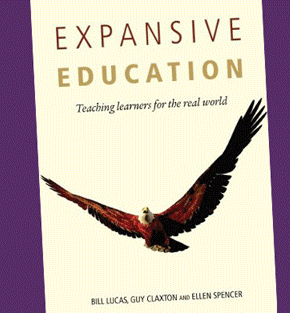 In this ground-breaking and visionary book, acclaimed authors Lucas, Claxton and Spencer define, consolidate and reinforce this revolutionary shift.